Since we live so close to the water many Long Islanders take advantage of the great fishing opportunities available on the Island. LI is also known for having great places to shellfish and a wide array of fresh seafood to be enjoyed in our local restaurants. Crabbing is another great way to have fun while catching dinner, and thankfully we do not have to go far for crabbing as there are many locations where you can catch crabs to cook for yourself. The best season to catch crabs is predominantly throughout the summer in the months of June, July, and August, and some say that the best time for crabbing is in late August and early September. Crabbing is legal all year round, however, so you can even try your luck in winter if you’d like! 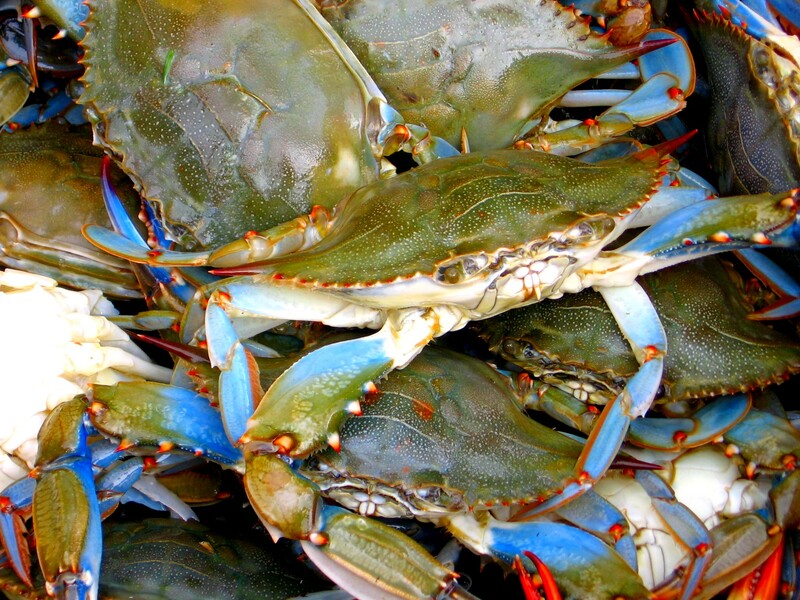 Blue Crabs, or Callinectes sapidus, are an olive green color. The males have blue claws, while the females have red claws. They are known for being soft shelled and savory to eat when steamed. Blue crabs are also sometimes referred to Atlantic blue crabs or Chesapeake blue crabs. When cooked, the shell of the crab turns from its blue hue to a red-orange color. As of 2016 there is a harvest limit of 50 blue crabs per person per day. 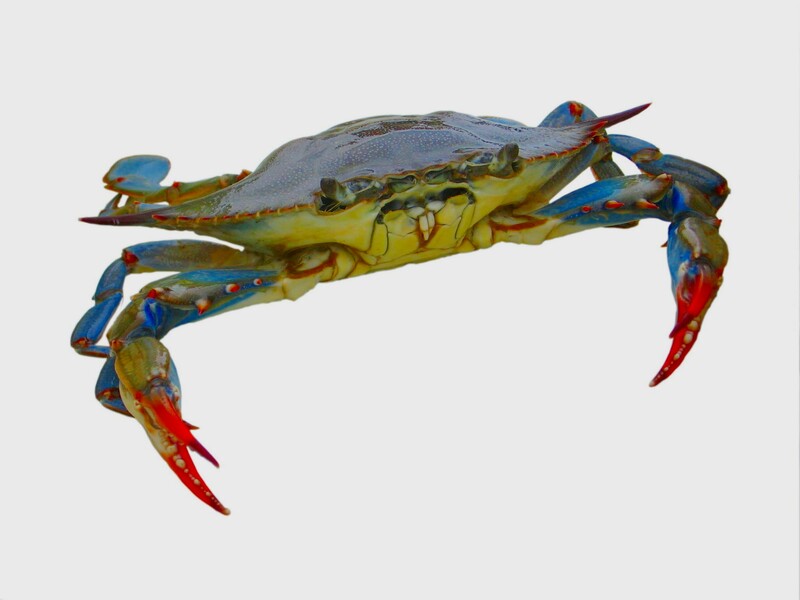 Additionally, there is a size minimum of 4.5" for hard shell blue crabs and 3.5" for soft shell blue crabs. Crabs with eggs may not be taken or possessed. Horseshoe Crabs, or Limulus polyphenus, are referred to as living fossils since they are thought to have evolved over 200 million years ago. Although they are called crabs they are actually more closely related to spiders and scorpions. When eating the crab you need to be very careful as there is not much to it except for the roe, or eggs. You can be poisoned if you do not eat this crab properly. Horsehoe crabs can be found in the Great South Bay and you are limited to catching 5 per day strictly for personal use. In other words, you cannot sell them. 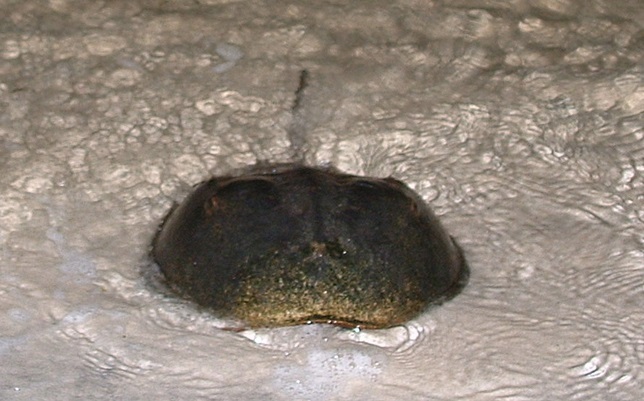 There are no size limits on horseshoe crabs, but there is a state harvest limit of five crabs per person per day. In order to catch crabs, most Long Islanders turn to crab traps—wire cages that can be lowered to the seafloor and will prove difficult for a crab to escape once it has taken the bait. Frozen bunker, available at most bait shops, can be used to bait the trap, but crabs are just as likely to be tempted by a strip of chicken. Of course a throw line will also be necessary to reel the trap back in after it’s been dropped. Alternatively, a drop-line can be baited then cast into the water, and pulled back up at a slow pace after a crab has begun tugging at the bait. This method also requires a scoop-net to keep a hold of the crab after it has been pulled in, as well as a fair bit more attention than wire crab traps which can be left alone for extended periods. New York State does not require any licenses or permits for shellfishing so long as you aren't using any mechanical equipment or fishing for commercial purposes, but individual towns and municipalities do have varying additional regulations which may be required to legally catch crabs within their jurisdiction. Many of these permits can be obtained for a nominal fee, and some do not require any fee at all. Off of Montauk Highway and Atlantic Ave.
Be sure to plan ahead and contact the location you are visiting about fees and permits. Below is a list of harbors and bays by the Department of Enviromental Conservation. Check your location for ceritification, closings, or permits before venturing out to crab. Many locations below are not safe for crabbing at all times. When viewing the maps associated with each, the red areas are not safe for crabbing. If you know a good crabbing spot here on Long Island, and think it should be added to this list, email us!